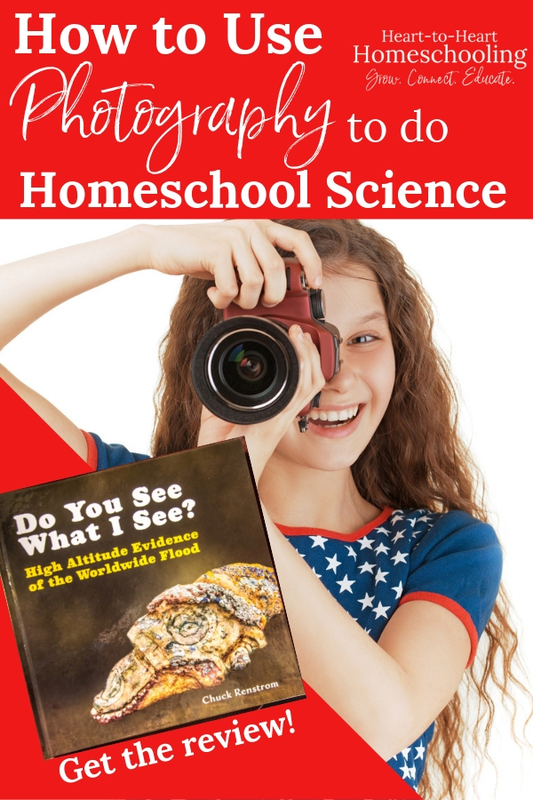 Learn how your children can use photography to study homeschool science. With the book Do You See What I See? 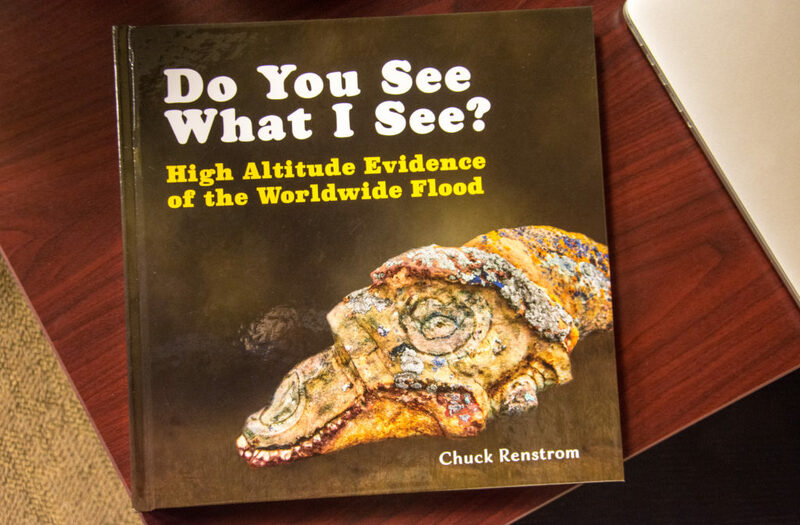 High Altitude Evidence of the Worldwide Flood by Chuck Renstrom, you’ll be able to show your students how studying creation can be both fascinating and fun. Photography has changed the way I view the world. I see things differently—like the way golden light dances on the tops of trees when the sun begins to set. And I notice beauty in the middle of what looks like chaos. Details that would normally go unnoticed jump out at me when I look through the lens . And it can do the same for your children. Photography can deepen your children’s understanding of the created world in unexpected and profound ways. The following post contains affiliate links. You can read my disclosure here. I received the product for free and was compensated for my time. All opinions are honest, and I was not required to post a positive review. 1. Take pictures of demonstrations and experiments. Sure, drawing is a great option, but why limit how lab reports are done? Encourage your students to take pictures of each step, whether it’s an experiment or demonstration, so they can create both colorful and dynamic lab reports. With most cameras you can even take video. Combining pictures, videos, and the written word, will help your students learn more while developing useful skills for communicating the information. And it can be a lot of fun too! 2. Take pictures to create a science notebook. I love how notebooking allows students to record and share what they are learning. Have your students take pictures on field trips or simply right outside your home. Then they can create notebook pages using a combination of photographs and words. A trip to the zoo is a great opportunity for your kids to take pictures and then create their own field guide using them. When they study the weather, they can photograph different types of clouds and make notebook pages identifying them. 3. Take pictures for a nature journal. Nature study is an integral part of many homeschool science curricula. When we began homeschooling, I didn’t really understand why it seemed to be such a big deal with homeschoolers. But now, not only do I get it, I believe nature study is the foundation of all the science learning children will do. Why? For one thing, nature study is all about observation, a skill they will use throughout their science studies. Yes, children learn about plants and animals, weather and geology—but they do it by observing the real thing—not just watching a video or reading about it in a book. While those resources are incredibly useful, they can’t replace the power of seeing it for yourself. Photography can be used to study nature because looking through a lens helps students to focus on what they are studying. I always thought that to do nature study, kids needed to draw what they were seeing. And that is a great way to notice and record details. But it isn’t the only way as is demonstrated in the book, Do You See What I See? High Altitude Evidence of the Worldwide Flood by Chuck Renstrom. And since most children won’t have the chance to take pictures of fossils they find in rocks, this books is the next best thing. It all started with my curiosity over the outlines in the background of Colorado’s rock formations, with something I spotted after I took pictures of those rock units. When I quenched my thirst by ascending into the mountains of Colorado, I found fossilized animals up there and took photos of them. Aside from my love for photography, my interest in everything fossilized was developed because of this discovery. The high altitude where these fossils were found, as well as the fact that many of the animals were not native to the area, led him to believe this was evidence of the worldwide flood recorded in the book of Genesis. 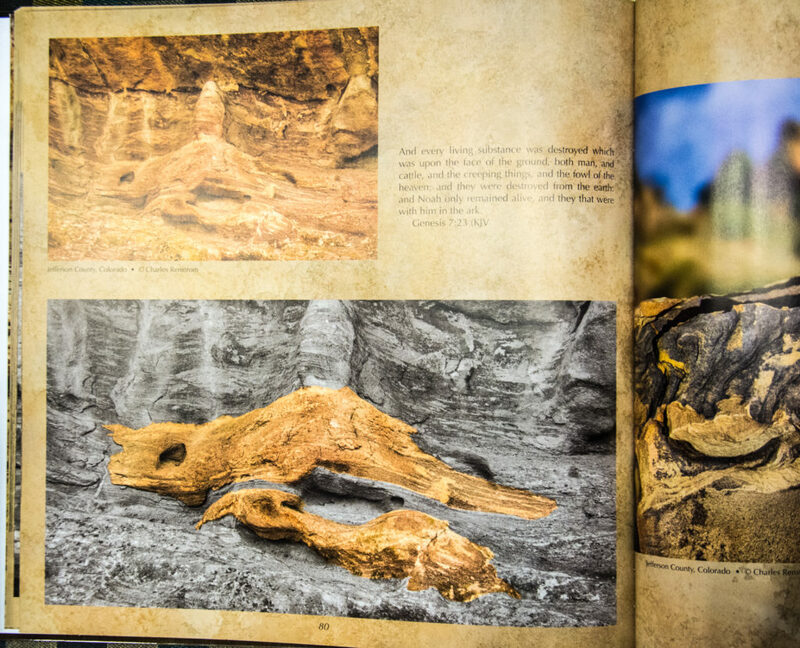 Throughout the book Renstrom includes his observations, facts he learned about the fossils, and Scripture to show how these fossils point to the flood. His clever use of color to highlight the fossils helps us to easily see the form and shape of the fossilized animals. Students of any age will enjoy this book. My oldest son was always fascinated by fossils when he was young, and even though he is 22, he is still excited to look through it. And it received a First Place Award from the Colorado Independent Publishers Association. Renstrom also speaks to Christian schools and service organizations. If you want to learn more, check out this interview or his website churckrenstrom.com! 👉🏻 Purchase your copy on Amazon or get an autographed copy on his website! I hope photography will help your children see the world a bit differently, just like it did me—to focus, to see the details, and appreciate the beauty around them. And I hope Do You See What I See? does the same thing. But most of all, I hope it helps them to see the truth of God’s Word. oh, I like this. The thing is to convince my lad that photos work as part of a report.